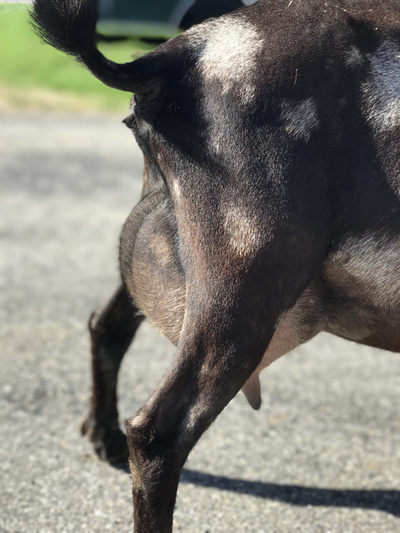 **** pictured below as a FIRST Freshener! 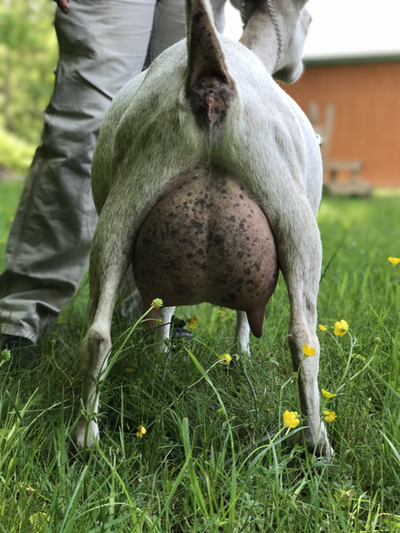 ​Show record: 5x GCH, 3x resGCH, 6x BOB, , 2x BUIS, 1xBDIS- all in her first year out as an 8year old! 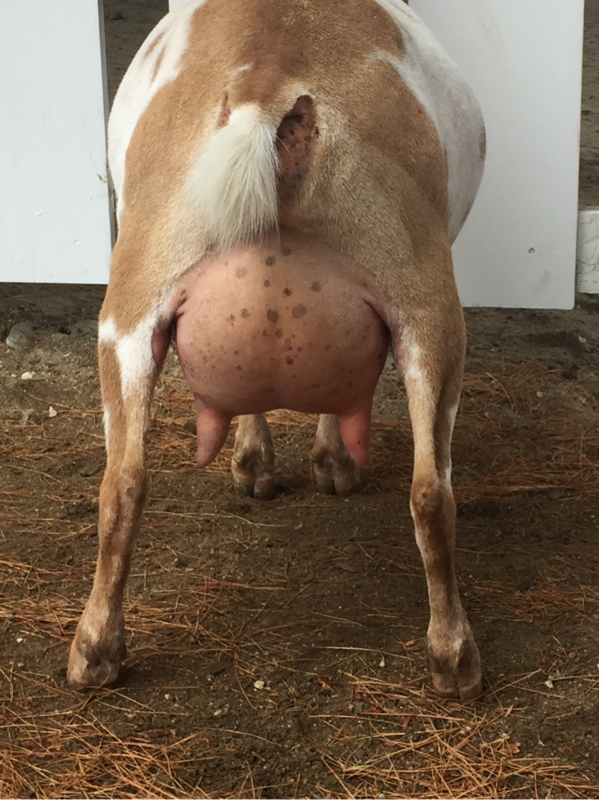 congrats to Donna and Cole Gormley! 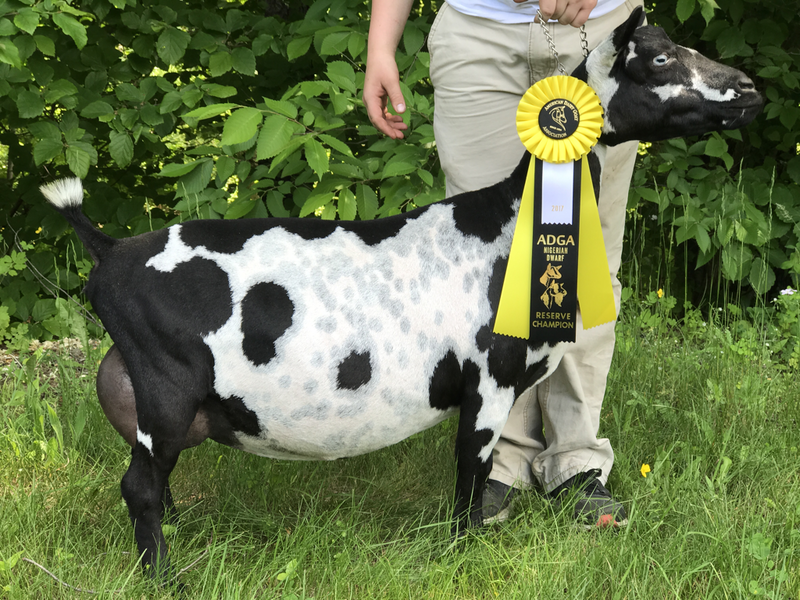 *****Please see ADGA website for show record! 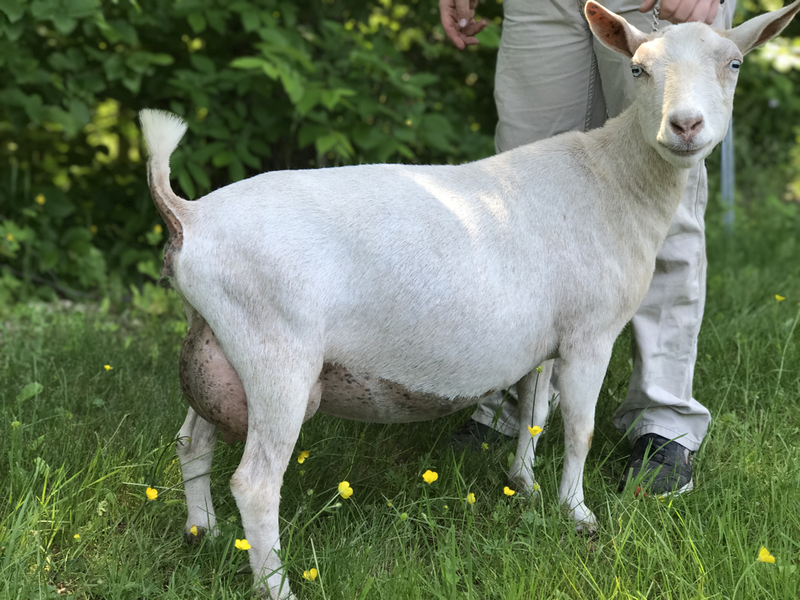 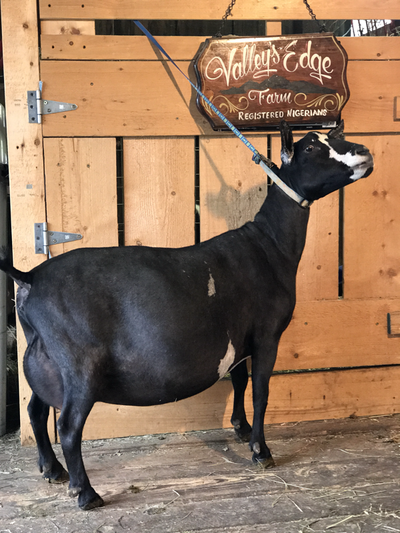 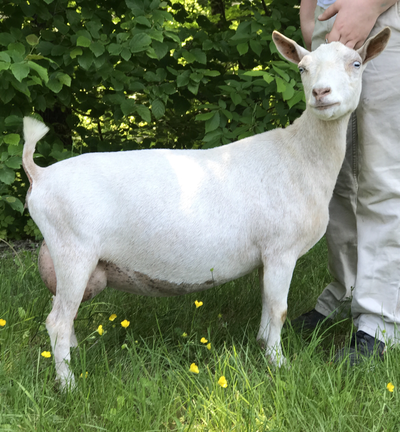 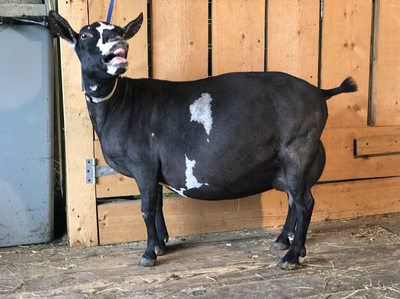 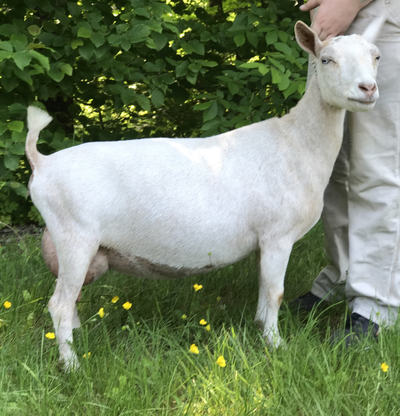 "Mabel" is my foundation doe and I couldn't be happier to have acquired her from my good friend Melonie at Tiny Angels Farm. 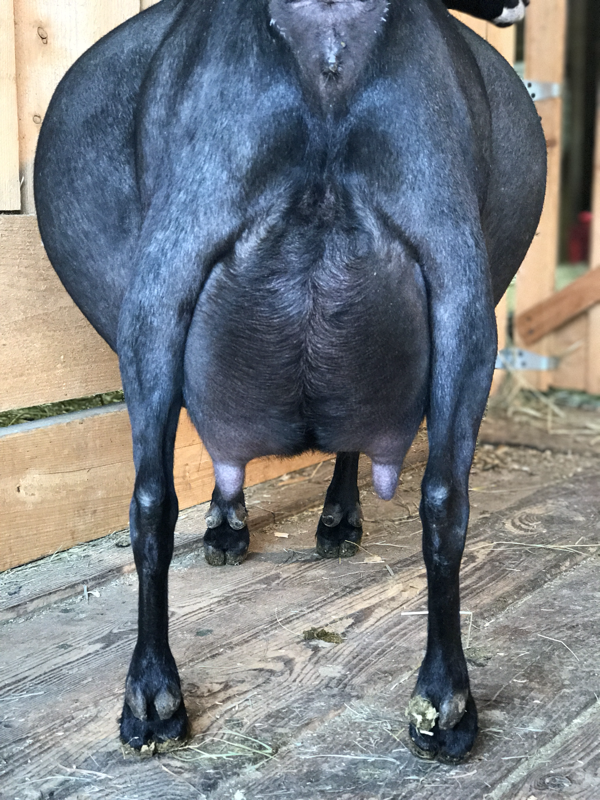 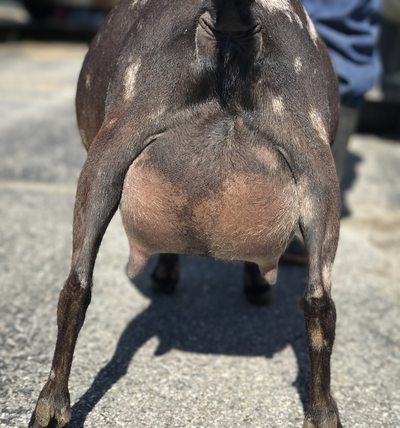 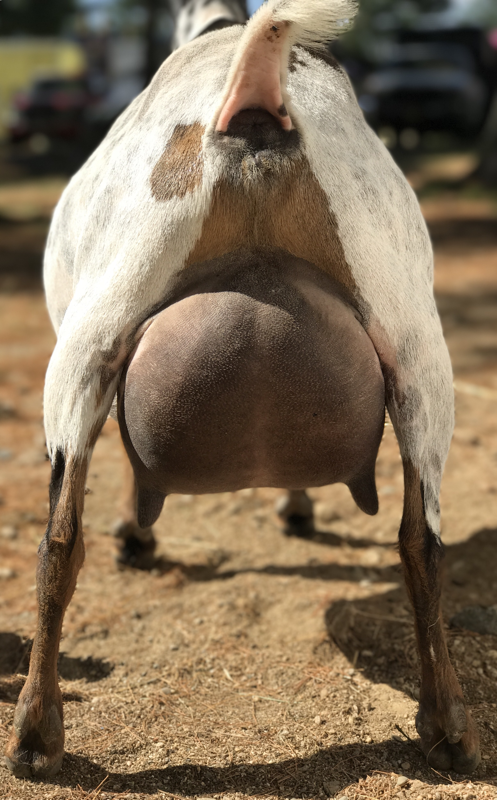 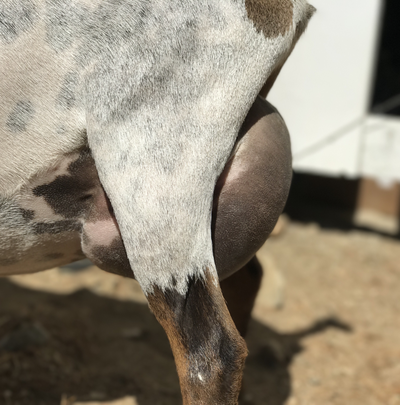 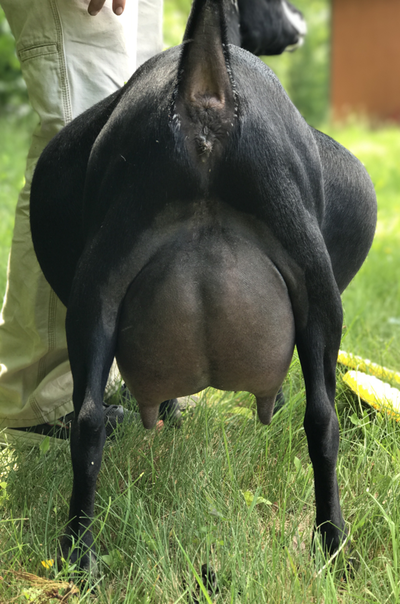 Mabel exhibits the dairy strength and general appearance that I always strive for in a Nigerian.... And that UDDER! 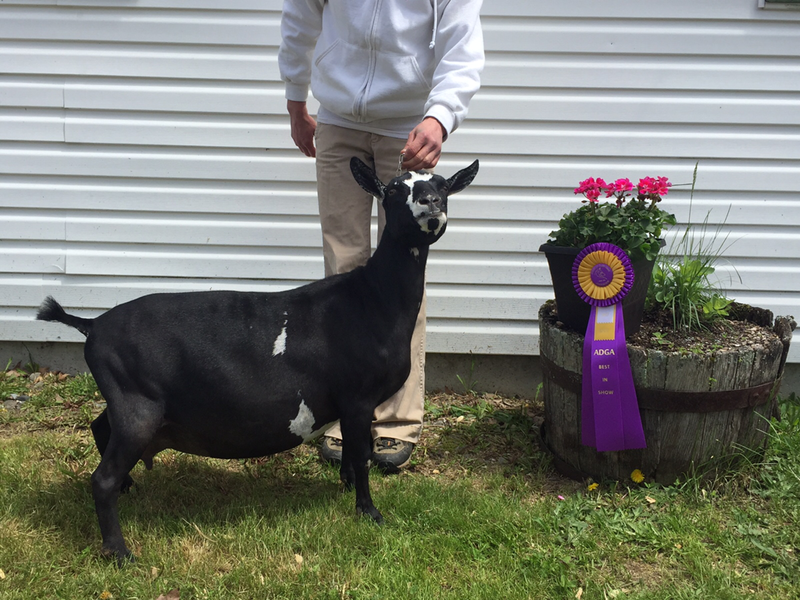 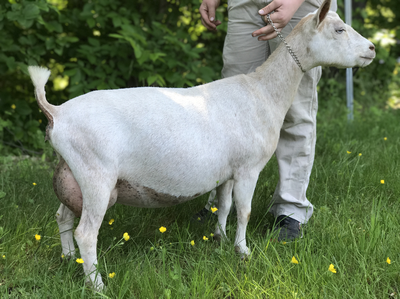 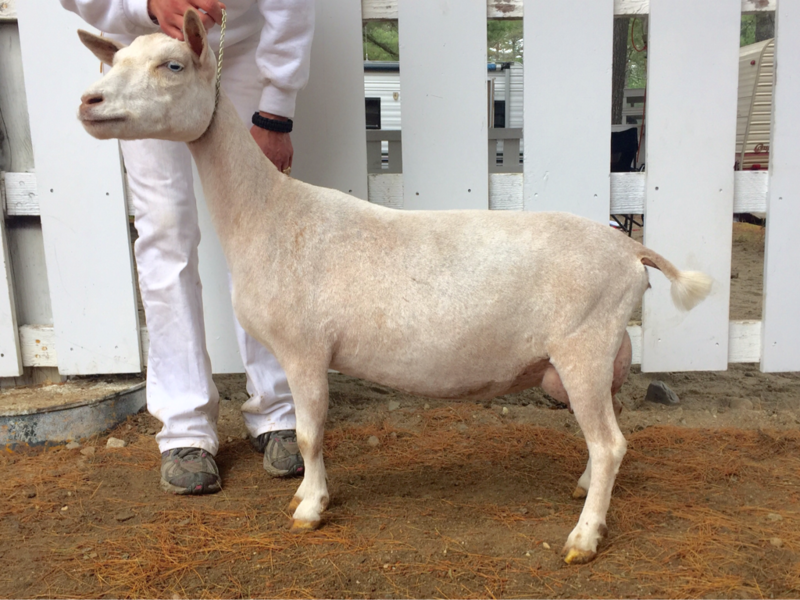 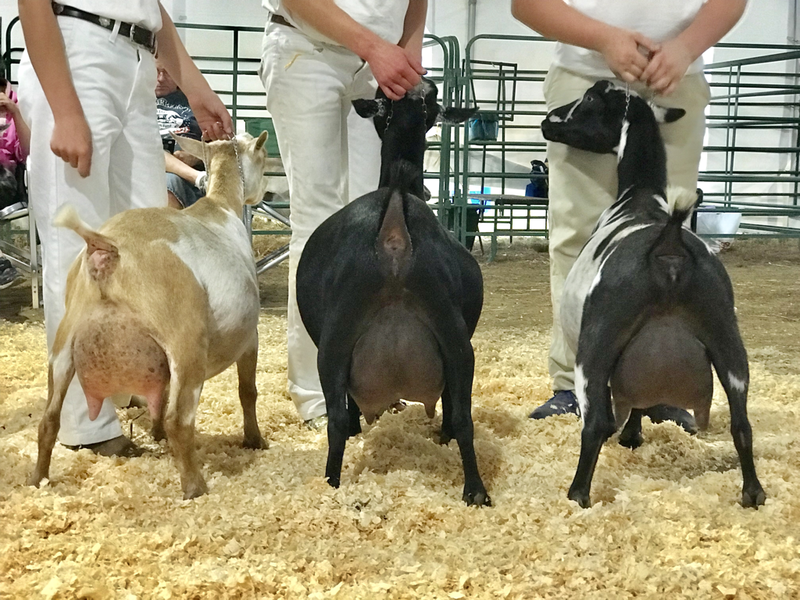 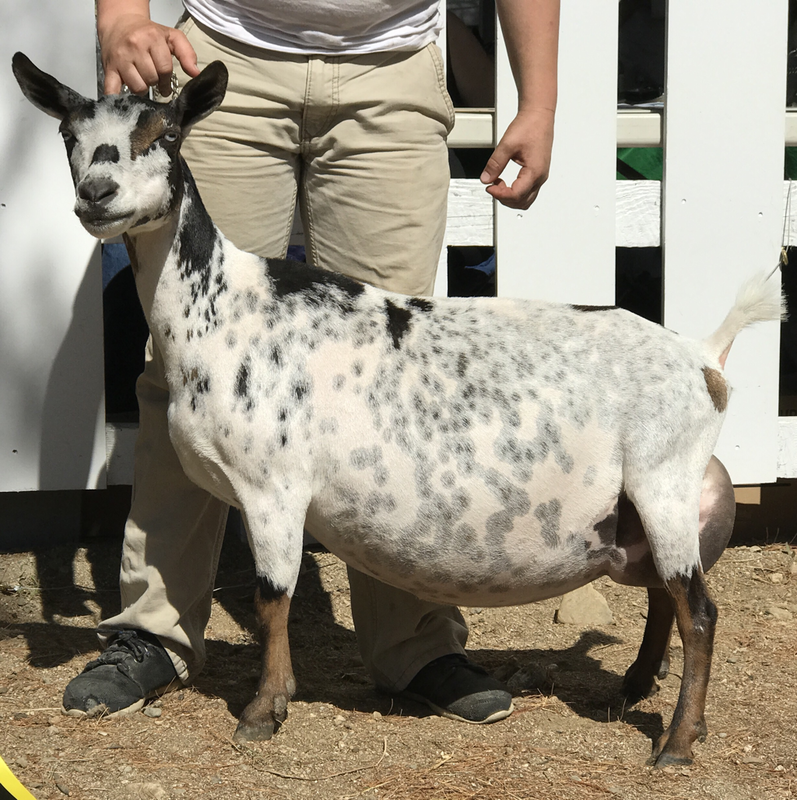 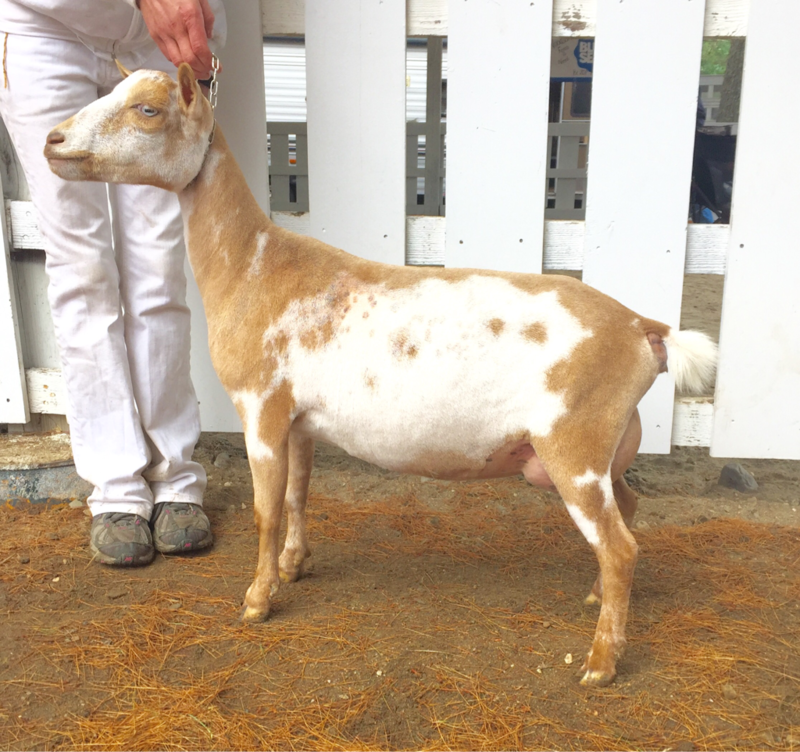 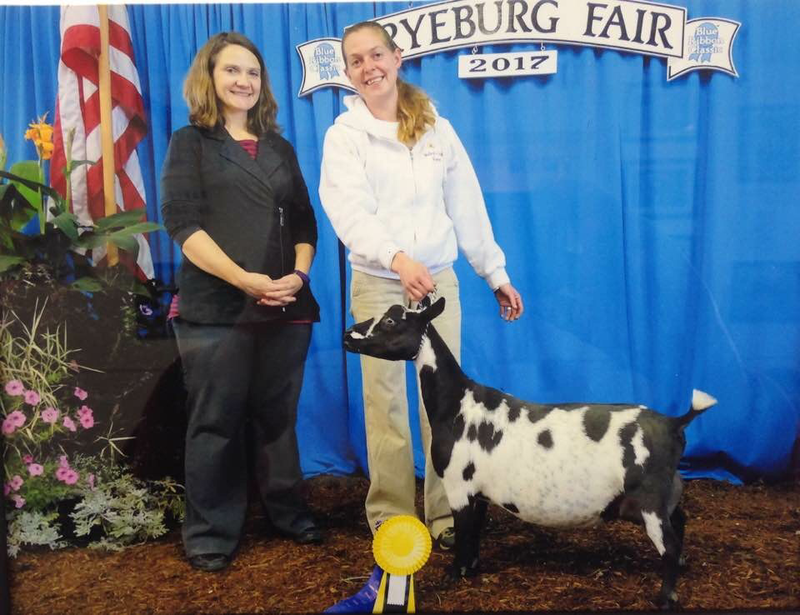 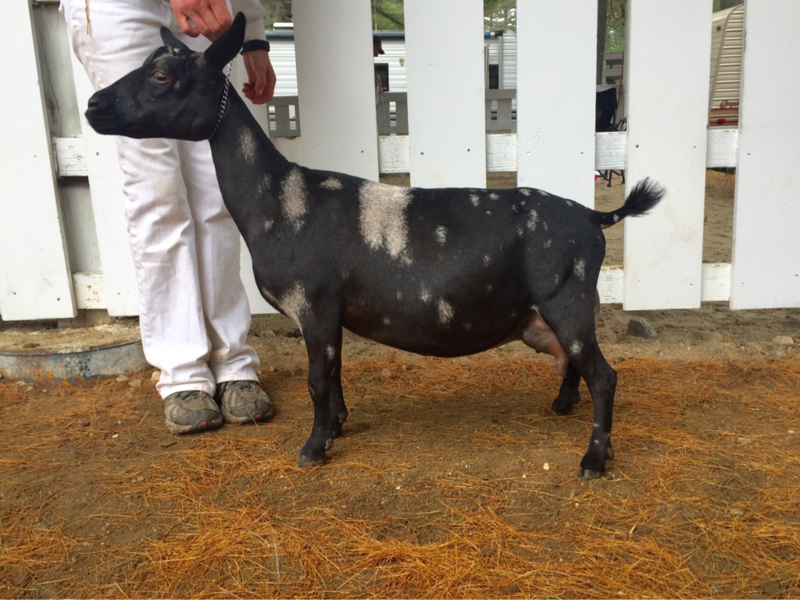 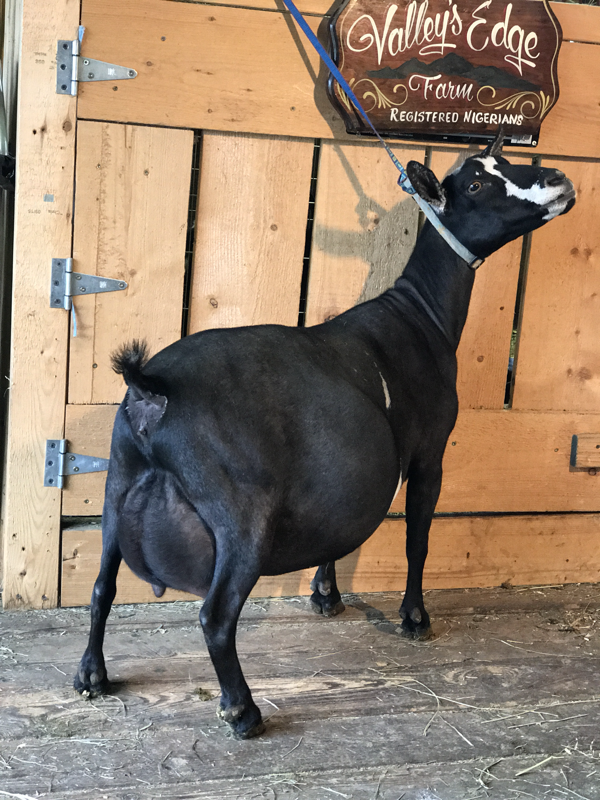 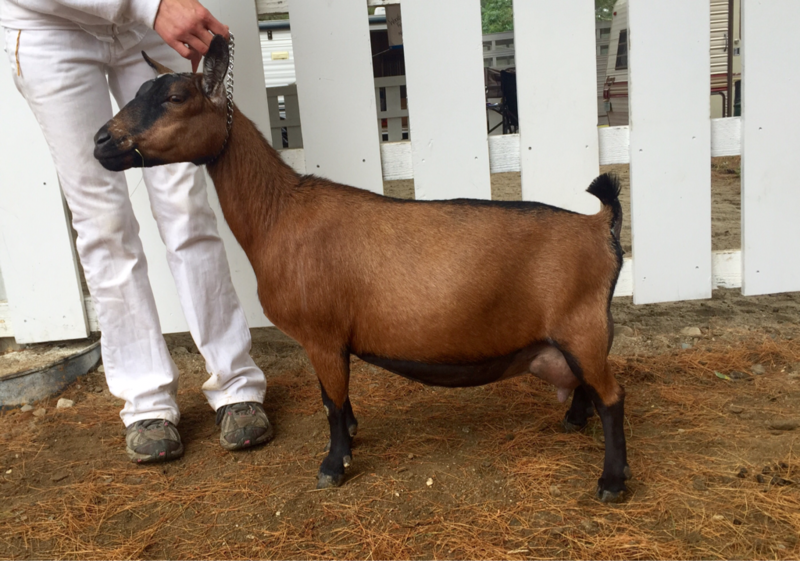 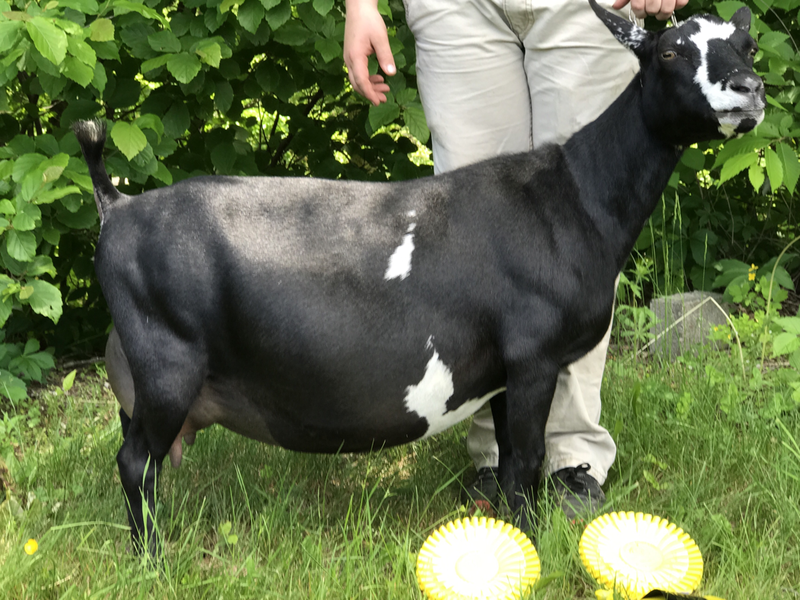 She finished her Championship in the first 3 shows out and has continued to produce champion offspring.